Food Finds and Favorite Things! I love sharing my favorite things with you as much as you seem to enjoy reading about them! Spring has sprung where I live. In fact today is going to be more like summer with triple digit temperatures. Ugh! It’s way to early for such heat but we just have to be grateful for central air conditioning. To cope I will be making a big icy cold smoothie and eating salads! Capers have that nice briney, salty flavor that really adds some kick to recipes. I like the jar from Trader Joe’s and after the capers are gone it’s perfect for storing your home made salad dressings. 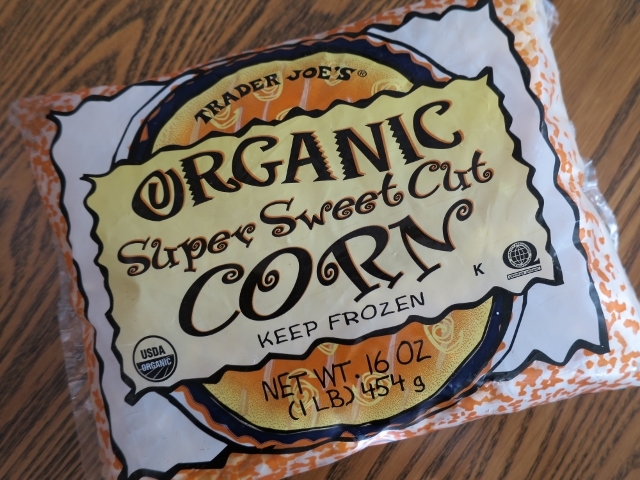 Frozen corn from Trader Joe’s – organic and sweet. Keep a couple bags on hand for soups, stews and casseroles – plant based of course. 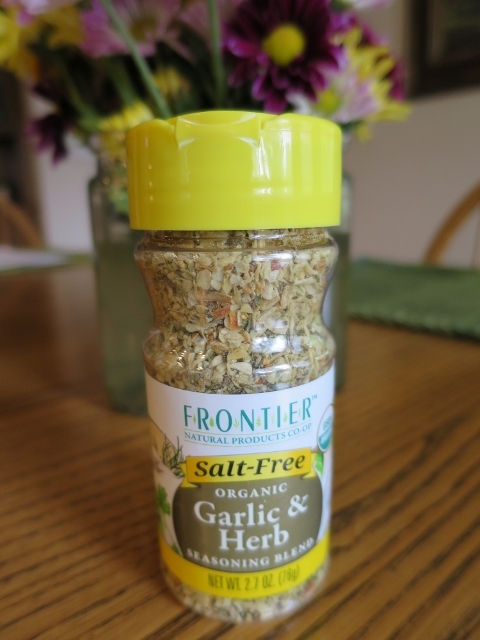 Another fantastic salt free seasoning is this Frontier Garlic & Herb. I use it in salad dressings, sprinkle over a baked potato, steamed veggies or on top of a salad to add a little extra punch of flavor. I buy it at Whole Foods but some grocery stores or health foods stores also carry it. 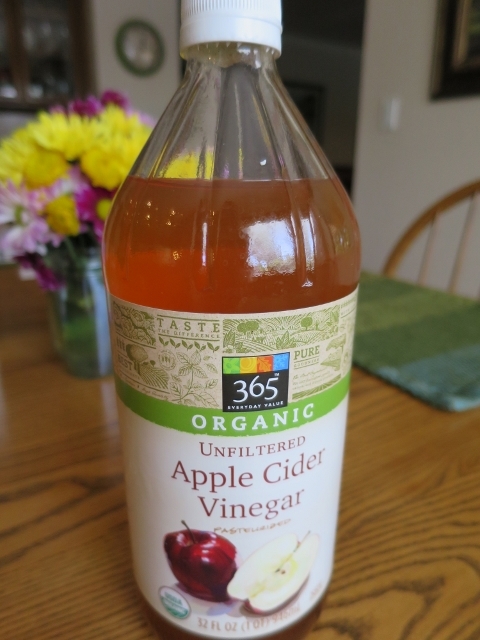 This vinegar has a lovely flavor and it’s organic which really makes me happy! Apples are on the dirty dozen list which means you should buy organic ones as the conventionally grown apples can be high in pesticides. 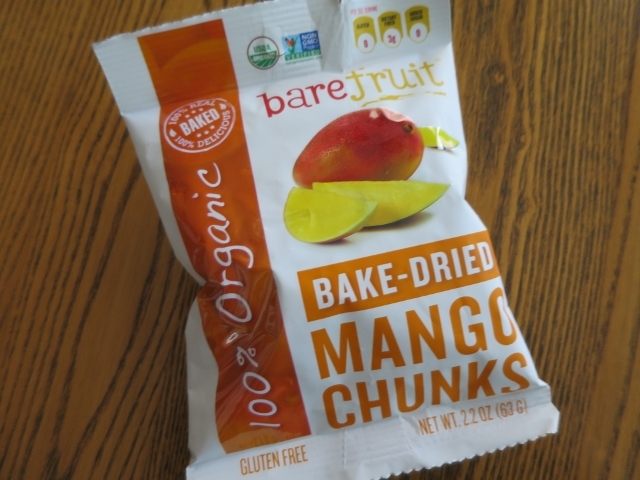 I have blogged about Bare Fruit apple chips but I have also found these mango chunks at Whole Foods. They are perfect for taking on a hike, in the car on a road trip, pack in your lunch or take on a picnic. They can be found in the chip/dried fruit aisle. So tasty! 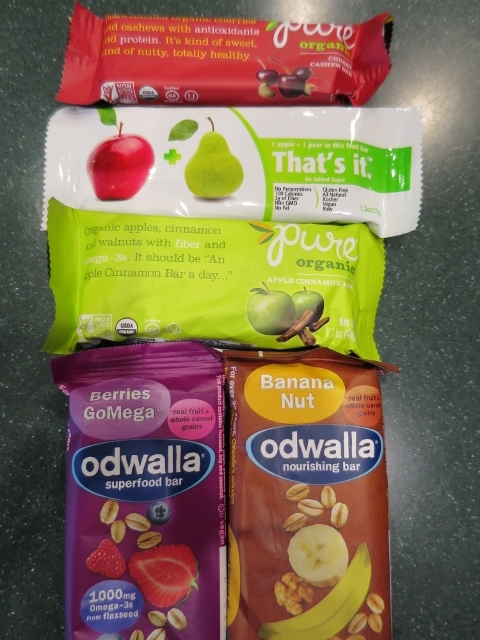 These are the snack bars we took with us on a recent road trip. They can all be found at Whole Foods, some grocery stores and health food stores. The Banana Walnut Odwalla nourish bar is my favorite! Sometimes hubby Tom and I will share one with some banana soft serve. It tastes like a banana nut muffin to me – simply delicious! All of these Ball jar finds were purchased at Walmart. They have an excellent canning section. 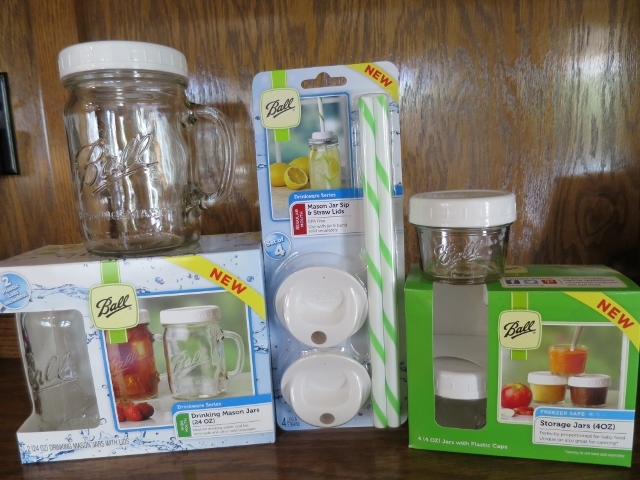 The Ball jar glasses are 24 ounces and they come in a set of two with lids! Great for making your smoothie ahead of time and storing in the fridge or taking it with you to work or play. The Ball jar sip lid fits the regular size jar tops not the wide mouth but they have a straw hole that is really handy. The little 4 ounce jars are perfect for holding sauces, dips, hummus and salad dressings. Great for portion control or for taking with you when eating out – yes sometimes you need to take your own salad dressing. Take them in your lunch, to a picnic or enjoy using them at home. Make hummus or salad dressings and then portion them out into these jars. Easy – peasy! 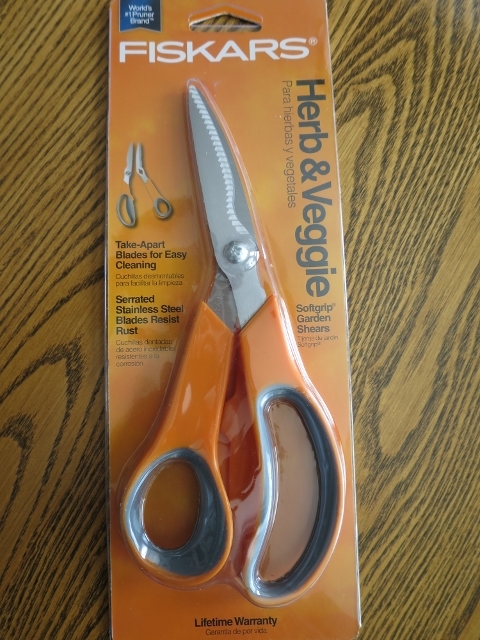 These are the best thing to have around for snipping fresh herbs and flowers. Buy two pairs as you’ll want one set for outside for the garden and one for in the kitchen. They come apart for easy cleaning. I found them in the garden section at Target but I’m sure most garden centers have them. I have been busy lately testing recipes for an up and coming new vegan cookbook author. It’s really fun to be a part of this project. The food has been amazing and my family and friends have been enjoying being taste testers! I have just passed the one year mark of following a plant based diet! I will be going in to see my doctor in a few weeks and can’t wait to see what impact my diet has had on my cholesterol! I will keep you posted. We love this way of eating – the food is amazing and we are feeling great! What more could you want? Comments and questions are always welcomed! Previous Post: « April Celebrations! My new favorite thing lately is Trader Joe’s Kefir! So good! 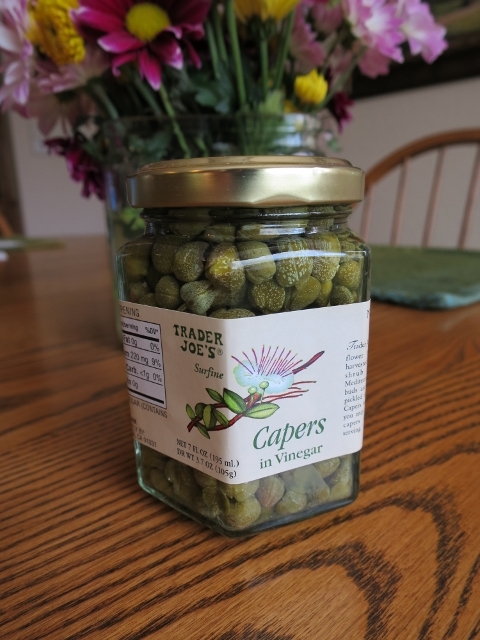 I love capers, too! I have a jar in the fridge that I had somewhat forgotten about. I’ll have to add some to a salad tomorrow! And I’ll have to look for the organic frozen corn, too. Congrats on the one year anniversary of eating a plant-based diet! I’m glad you are enjoying it so much and it’s working for you! I think you NAILED IT for however someone eats too!! you need to love it and be energized by it. I honestly don’t “shop”. I go for what I am looking for & leave so I never see these great finds EXCEPT I do browse TJs! 🙂 Love your finds!! So cool on the cookbook Tami!!!!!!!! Love that you found your way to a way of eating that works for you AND you love! I love the tops with the straws – how cool is that?! I am going to have to check out Wal-Mart – I love using mason jars for all sorts of things. Now is when I stock up on them now that garage season is starting to kick off in my neighborhood. Oooo! Those scissors! I’ll be looking for them on my next trip to Target for sure! Look in the garden center Katie! They are amazing!